In this program we are going to make such a servlet which will be responsible to select a site randomly from the list of sites you have entered. 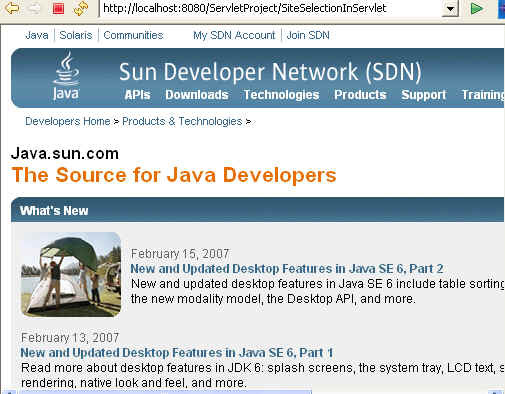 To make such a servlet firstly make a class named SiteSelectionServlet. Use the Vector class where you can store the sites which you want to select randomly and the other class Random which will helps you to select the site randomly. Note: The selection will be random.